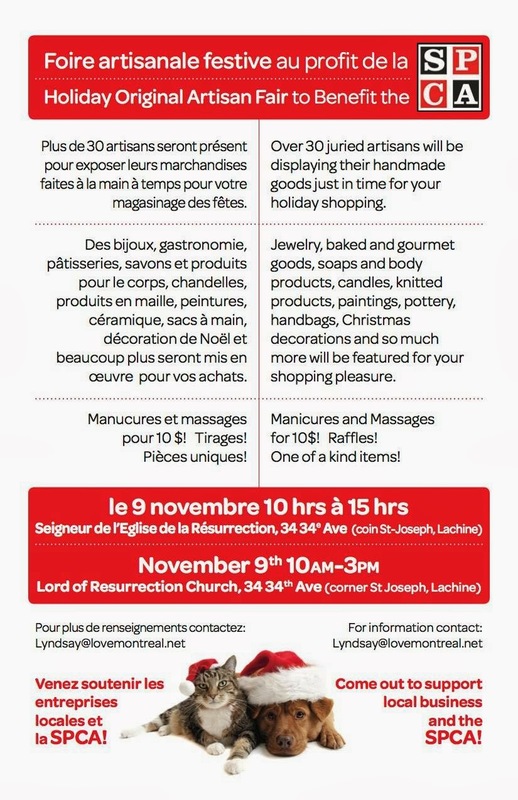 On November 9th, I'm attending my first holiday fair, and it's all to benefit the cats and dogs and other animals that sadly live at the SPCA. It's located in the Lord of our Resurrection Church in Lachine. I'll be selling lots of brand new monsters, and some pillow monsters too. If you can't make it to this, there are two more events this month I'll be at. Come on by and support local businesses! Shop handmade this holiday season for all your gifts! Your support means we can continue to create new things for you! I hope to see you there! Please share this flyer with your friends and family!